Movella products are made to last. 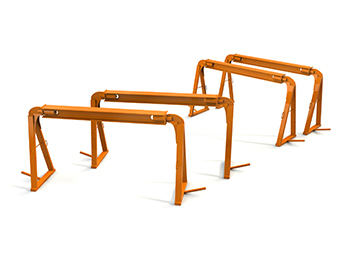 Strong construction and clever design make them safe to use and easy to keep running. 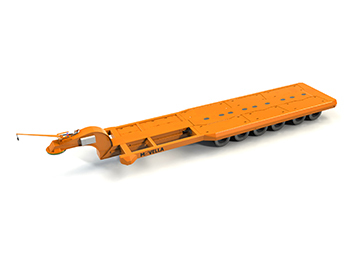 Robust and simple one-bogie translifters for capacities from 6 to 50 tons. Operated by a forklift, terminal tractor or a wheel loader. Typical applications are heavy engineering workshops, concrete element factories, paintshops, steel wholesale and many others where the cargo is too big to be handled by a forklift alone. The strongest RoRo-translifter in the market with many innovative features to increase reliability and minimize downtime. 1-, 2- and 3-bogie versions with payloads from 50 to 130 tons. Typically used in RoRo-ports, terminals and steel industry. Extremely strong and heavy duty translifter for 24/7 operation in steel industry. Capacities up to 240 tons and transport efficiency over 1000 tons/hour in one kilometre driving distance. Cassette is an important part of the translifter and cassette system. It adapts the translifter to the transported cargo, works as a buffer storage, waits under the cranes and supports and protects the cargo. Cassette lasts for 20-30 years without any maintenance. Movella cassettes are available for all different applications. SwapMover™ is a new and innovative way of handling swap bodies in logistic terminals. It is extremely safe and easy to use and reduces damages to the legs of the swapbodies. 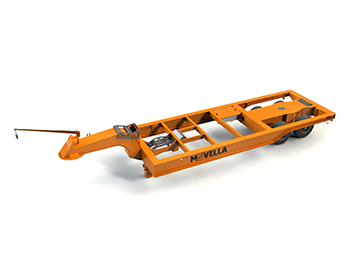 It can be connected to any standard terminal tractor or a big forklift truck. Safe, simple and easy handling of inloader flats in concrete element factories. Eliminates cranes in the warehousing area and reduces handling of wall elements even by 70%. It is compatible to standard inloader flats and can be operated by a terminal tractor or a big forklift truck. 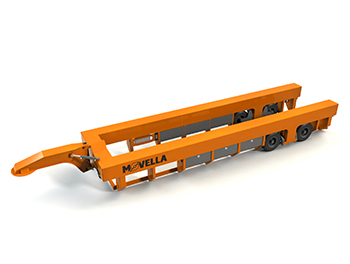 Inloader flats for concrete wall elements to be transported with a standard inloader or Movella U-loader. 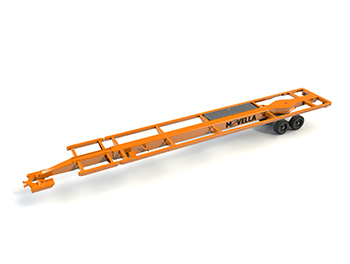 Movella inloader flats are strong but light-weight and they have optimized cargo area size. Optionally available with support legs in the front and removable rear wall. 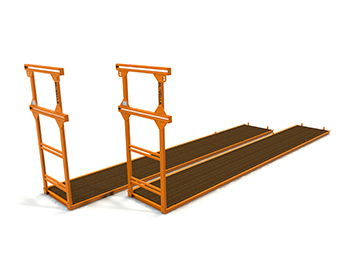 A- and U-trestles are the simplest load platforms when handling beams and other self supporting cargo with a translifter. 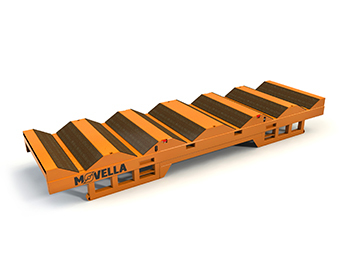 Movella trestles are strong, safe to use, need no maintenance and last virtually forever. 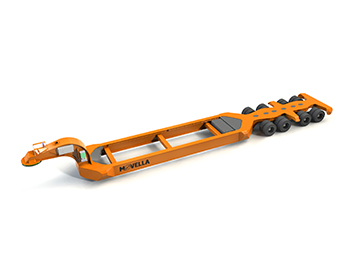 Road transport trestle is a trestle with removable legs and it is handled with a translifter in factory area and with a semi-trailer on public roads. The benefits of road transport trestles are: the truck driver loads his cargo independently, no cranes or forklifts needed in the warehouse area, flexible warehousing anywhere. Our e-mail addresses are in form of firstname.lastname@movella.fi.